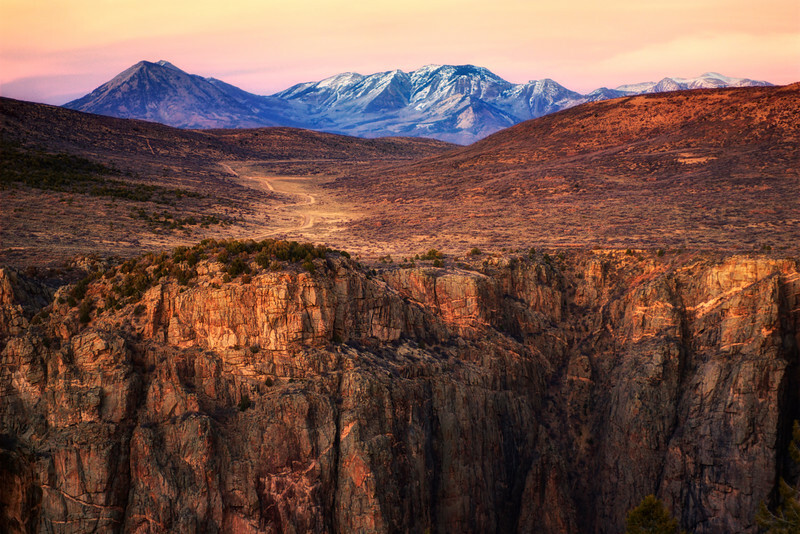 As this was my first time visiting the Black Canyon, I drove from site to site looking for the optimal place to set up for sunset shots. I was disappointed at every pull out. I was running out of light when some mountains off in the distance caught my eye. I pulled over and bushwhacked to this spot as the last rays of sun faded.